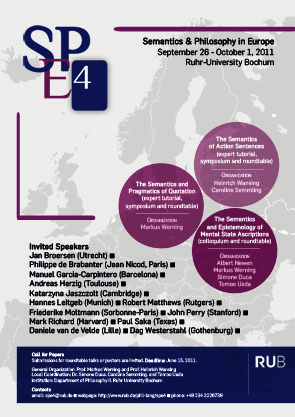 The workshop examines reasoning, argumentation and logic from the perspective of experimental pragmatics. Whereas these issues have a long tradition in the philosophy of language and theoretical linguistics, research in experimental pragmatics has come to focus on them only recently. This is surprising since pragmatic phenomena exert strong influence on which arguments count as sound and valid in everyday reasoning. Relevant phenomena include (a) the disambiguation of polysemous words, (b) context effects on the interpretation of content words and (c) pragmatic properties of logical connectives (e.g., order effects associated with and) as well as of quantifiers (e.g., the scalar implicature from some to not all). The workshop focuses on (i) experimental approaches and (ii) empirically driven models regarding these as well as other pragmatic phenomena in the domain of argumentation and reasoning. Computational pragmatics, understood as an interdisciplinary field at the interface between Linguistics, Cognitive Science, Artificial Intelligence and Philosophy provides computational models of pragmatic reasoning that are intrinsically tied to experimentally collected data and their analysis. It covers different aspects of pragmatic reasoning, and it might be understood as an interdisciplinary endeavor to understand how contextual information influences the production and interpretation of utterances. 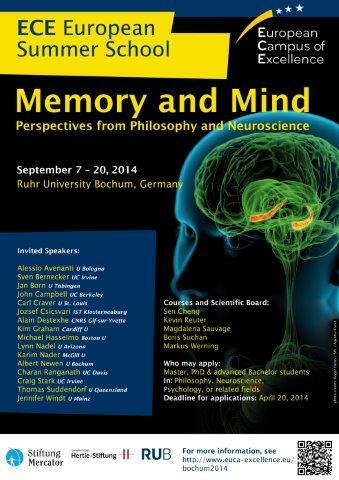 PLM is a European network of centers devoted to the Philosophy of Language and Mind. PLM was founded in 2010 and organizes international conferences, workshop and master classes taught by leading experts in the field. Over the last few decades we observe a growing interest in using experimental methods to investigate semantic and pragmatic theories. Experimental pragmatics have become a flourishing interdisciplinary research area. Aside from traditional methods, such as reaction time measurement, eye-tracking or acceptability judgments, researchers have become increasingly interested in investigating language processing on the neural level and by this means shedding more light on semantic and pragmatic theories. 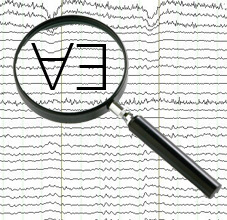 To this end they have used techniques such as electroencephalography (EEG), functional magnetic resonance imaging (fMRI) and magnetoencephalography (MEG). Although this enterprise has resulted in a large amount of interesting data about linguistic processing, still the interpretation of these results remains debated with respect to their relevance for more formal theories of meaning. On the one hand, it often is difficult to formulate clear processing predictions for semantic and pragmatic theories, on the other hand, the theoretical interpretation of the activations observed with neuroimaging tools is not fully understood. As a result, the neurolinguistics and formal semantic/pragmatic communities remain still rather disjoint. In this workshop we would like to bridge the gap and discuss the challenges of combining the two approaches. Negation and negativity are key features of human languages. While negation is a phenomenon of semantic opposition, negativity adresses a broader spectrum of phenomena. The investigation of the form and meaning of negation and negativity in natural language is at the heart of many debates in philosophy, linguistics, logic and psychology. The aim of this interdisciplinary workshop is to bring together the various perspectives of negation and negativity and thereby force the interdisciplinary research on negation and negativity in natural language. Schloss Mickeln Düsseldorf, December 1 - 3, 2016. Organization: Markus Werning, Peter Brössel and Alexander Gebharter. Organization: Sen Cheng, Magdalena Sauvage, & Markus Werning. Bonn, 20. Oktober 2016, 20:00 Uhr. Organization: Erica Cosentino, Dirk Kindermann, Max Kölbel, Maria Spychalska, Markus Werning. 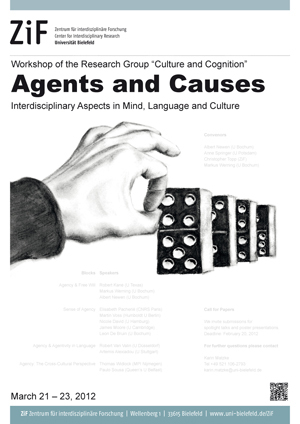 The workshop is devoted to the question what it means for an agent to be the cause of an action: What is the metaphysics of the agent role in causation? How is this role mentally represented? What are the linguistic structures that express the agent role and how do they vary across languages? What can go wrong in representing the agent role, e.g., in psychiatric disorders? These questions will be discussed by scientists from various disciplines, including Philosophy, Psychology, Neuroscience, Linguistics and Anthropology. 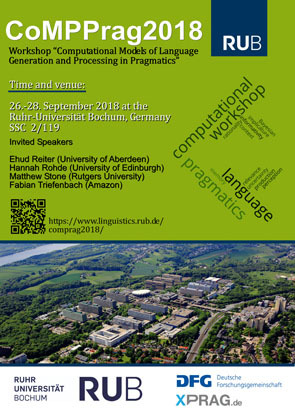 The purpose of the SPE workshops is to enhance the dialogue between linguists and philosophers and to provide a new forum for presenting research in the interface between linguistic semantics and the related areas of philosophy (philosophy of language, logic, philosophy of mind, metaphysics, philosophy of mathematics, epistemology) . SPE takes place annually in different European cities. The previous meetings took place in Paris (SPE1, 2008), London (SPE2, 2009), and Paris (SPE3, 2010). What are events? Do they make up a distinct ontological category? Do they exist independently of objects? What are the linguistic means to talk about events? 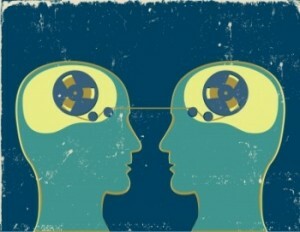 What does the semantics of natural language tell us about them? How are events cognitively represented? Is there a genuine neural realization of event representations? These are the topics we will discuss at the one-day workshop. Everybody interested is welcome to participate. To register, please send an email to the address shown below. For workshops organized by Markus Werning before 2010 click on the web archive here.